KAMPALA – Rwandan President Paul Kagame in an interview with Jeune Africa- French, has hit out at his mentor, Ugandan President Yoweri Kaguta Museveni, saying his erstwhile ally was currently ‘sourgraping’ after his RDF defeated the Ugandan UPDF three times in Kisangani, DRC, 20 years ago. Kagame’s comments illustrate his frustration as tensions between Uganda and Rwanda continue to dominate discussions in the region. Kigali accuses Kampala of harassing its nationals through arrests and torture and has been advising Rwandans to restrict their travel to Uganda. On the other hand, Kampala denies, claiming those detained are individuals suspected of spying. Below is the full interview translated by David Himbara. Jeune Afrique: You accused Uganda of trying to destabilize Rwanda. What evidence do you have? Kagame: They are numerous and irrefutable, and we have provided them to the Ugandan authorities. Kampala offers help and logistical facilities to people from South Africa, Burundi, DR Congo, Canada and Europe, who gather in the Ugandan capital to plot against Rwanda, under the benevolent eye of the government. Our information comes from multiple channels, including leaders of the rebel FDLR [Democratic Forces for the Liberation of Rwanda] arrested in late 2018 in the Congo and extradited since. We even interviewed an individual who was coming from Iran and planned to carry out attacks after passing through Uganda. Jeune Afrique: But the Ugandan authorities deny all this. 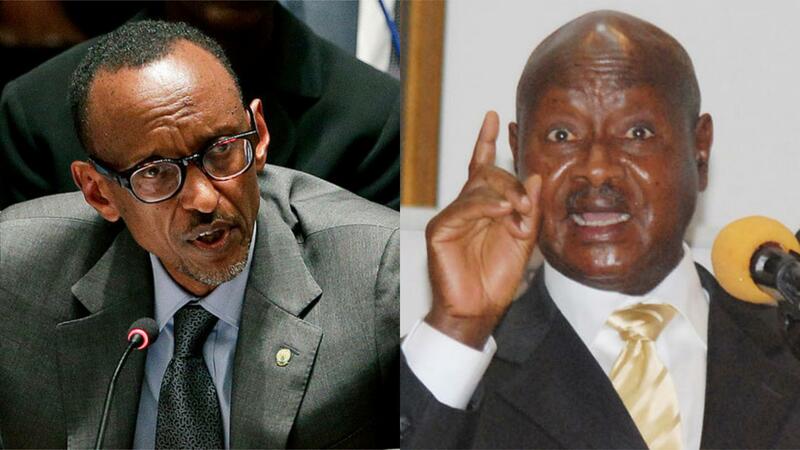 Kagame: Not President Yoweri Museveni, since, in a letter he sent me on March 10 and made public even before I received it, he admitted to having “accidentally” received a leader of the so-called Congress National Congress [RNC]. The truth is that Kampala is the place of contact and coordination between all these negative forces, be they the former genocidaires, the Kayumba Nyamwasa RNC or the small group of Paul Rusesabagina. Jeune Afrique: President Museveni and you have known each other for forty years. You helped him gain power, and he helped you in the liberation struggle. What is going on? What does he reproach you for? Kagame: I have sometimes asked him the question and, in fact, there is nothing precise or coherent, except perhaps the vague feeling that we would be indebted to him. Jeune Afrique: He is your elder. He is a patriarch of 74 years. Would you have disrespected him? Kagame: I respect him as President of Uganda. But he is not the president of Rwanda and will never be. It must be resolved. We do not accept to be dictated to, no matter where it comes from, you know it well. From a geographical point of view, Rwanda is a small country. On the ideological and political level, it is a big country. Jeune Afrique: Is mediation possible? Kagame: I do not believe that. There is no place for that. As I told Yoweri Museveni, everything depends on him. He can not repeat that he has nothing against Rwanda and let it do what I just described. The key to the problems is in Uganda, it is in the hands of Museveni himself. Let me tell you an anecdote: we have in Rwanda an annual program for our students abroad who come back to Canada during the holidays, between June and August. Jeune Afrique: You have most recently and for the first time mentioned the assassination in 1998 in Nairobi of the Minister of the Interior of the first post-genocide government, Seth Sendashonga. You say that the information in your possession overlaps with that of the historian Gérard Prunier, according to which Sendashonga was preparing to destabilize Rwanda with the support of General Salim Saleh, the brother of President Museveni. Why wait more than twenty years to say that? Kagame: It is very simple. The Ugandan personalities who helped Sendashonga in his business yesterday are the same people who today support Sendashonga’s followers. The story repeats itself.